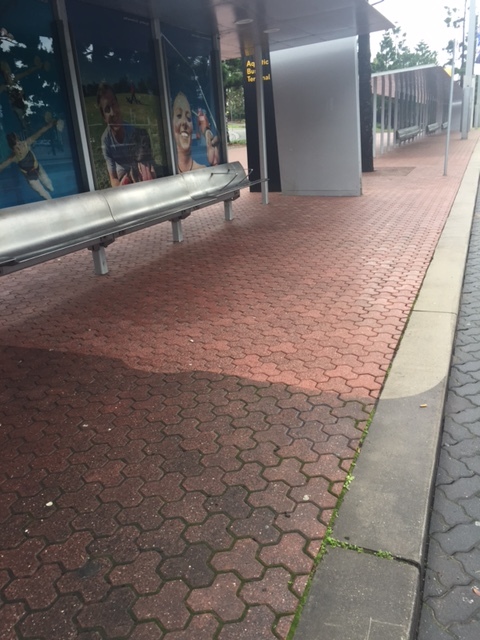 Using a new high pressure cleaning system, pavers around Sydney Olympic Park were hit with hot water and scoured. This new system offered a more sustainable option for pressure cleaning as the latest technologies use lower water and fuel consumption. The results are quite clear in these pictures, showing areas that had been cleaned next to parts that hadn’t yet. 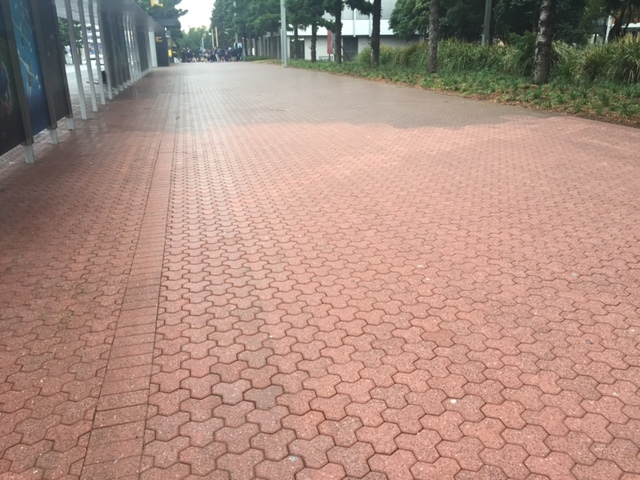 The pavers certainly scrubbed up well!